Home » Creature » History » Mythology » Philippines » What is the creature in Philippine mythology that imitates the form of a child? » What is the creature in Philippine mythology that imitates the form of a child? What is the creature in Philippine mythology that imitates the form of a child? 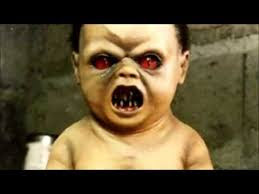 A vampiric creature in Philippine mythology that imitates the form of a child. It usually takes the form of a newborn baby and cries like one in the jungle to attract unwary travelers. Once it is picked up by the victim, it reverts to its true form and attacks the victim.Also depicted to take malevolent delight in leading travelers astray,or in abducting children.